Global warming is a slow and steady rise in the Earth’s surface temperature. It is a big environmental and social issue all over the world. It’s imperative to know its causes, effects and preventive measures. 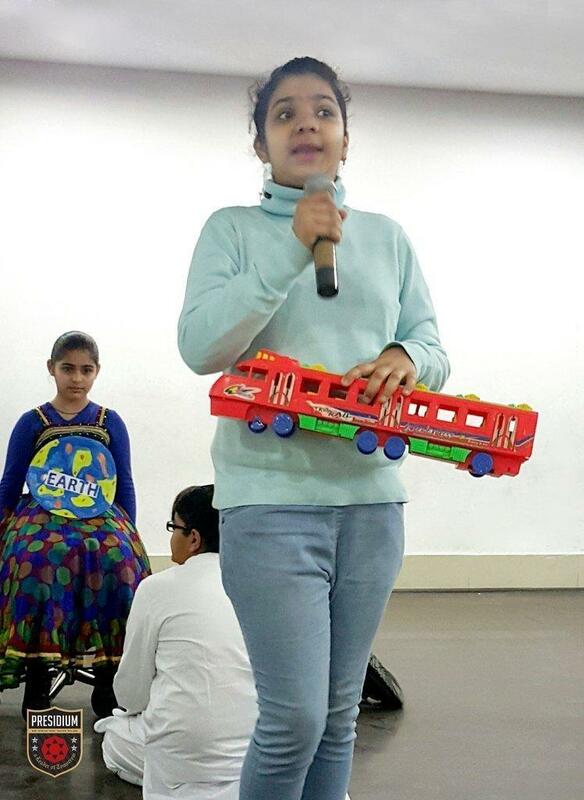 With the aim of raising awareness against this environmental calamity, the students from Grade Vth of Presidium, Dwarka 16B, came together to raise their voice against it on 2 February. 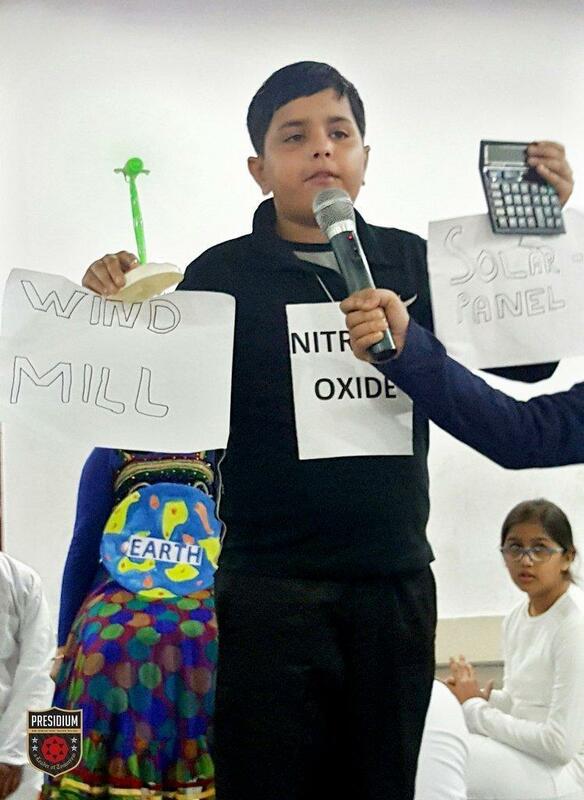 The students dramatized their theme by personifying the Earth, Sun, its rays and the three harmful gases Carbon dioxide, Methane and Nitrous Oxide. 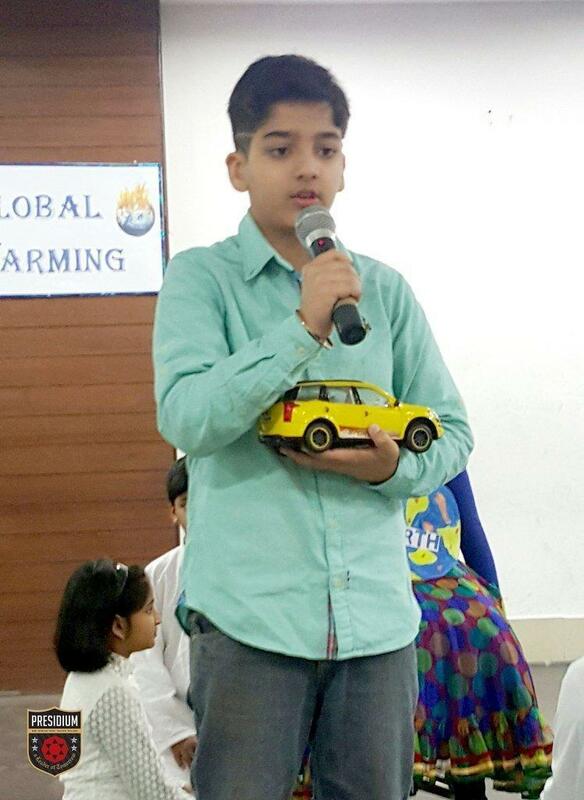 They demonstrated how due to the presence of increased amount of these harmful gases in the atmosphere the Sun rays are unable to escape from Earth’s atmosphere and get trapped there, thus increasing its temperature. The students discussed different ways to get rid of the harmful gases from our atmosphere. Some of these steps include: Planting as many trees as possible as plants absorb carbon dioxide during photosynthesis, saving electricity by replacing regular light bulbs with CFL bulbs, conserving energy by using energy saving appliances, turning off lights when not in use etc.